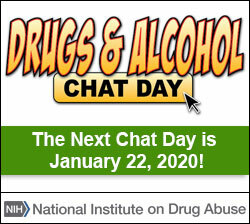 NIDA offers a host of free materials on drugs and drug abuse to support your NDAFW event, or to use any time of the year. You can download them below. To see the full selection and order from us directly, check out NIDA’s publication website. To help teens attending your NDAFW event or promotional activity learn key scientific facts about drugs, drug abuse, addiction, consequences, prevention, and treatment, distribute materials before, during, or after your event. You can also download materials to view online. Order for Free OnlineYou will be sent to NIDA’s free publication ordering system. This 30-page full-color booklet explains in simple terms how science has revolutionized the understanding of drug addiction as a brain disease that affects behavior. Heads Up: Real News About Drugs and Your Body is a collaboration between NIDA scientists and Scholastic, Inc. Annual compilations of articles and lesson plans going back to 2002 is available for download from Scholastic. Presented in question-and-answer format, this pamphlet gives the facts about marijuana and its potential harmful effects, as well as potential therapeutic uses. Mind Matters is a series that explores the ways that different drugs affect your brain, body, and life. In this issue we are going to talk about marijuana. Check out the Lesson Plan. Mind Matters is a series that explores the ways that different drugs affect your brain, body, and life. In this issue we are going to talk about nicotine. Mind Matters is a series that explores the ways that different drugs affect your brain, body, and life. In this issue we are going to talk about opioids. Mind Matters is a series that explores the ways that different drugs affect your brain, body, and life. In this issue, we are going to talk about how drugs affect the brain. The NDAFW team is pleased to share a BINGO game that anyone can use. The point of this game is to educate players about certain topics and facts surrounding drug and alcohol use. En Español: ¡BINGO PARA NDAFW! Presented in question-and-answer format and targeted to teens, provides facts about opioids and their potential harmful effects. A graphic tour of how the body is affected by various drugs of abuse. Includes an annotated “body” poster along with six skills sheets. Front of poster: Targets teens and young adults, emphasizing three essential messages about smoking marijuana: It is addictive, it can lead to school failure, and it impairs driving. Back of poster: Provides four lesson plans for teachers, including critical-thinking activity worksheets and answer keys. Reviews basic marijuana facts. Helps students differentiate between fact and opinion, understand the importance of sources, analyze an editorial cartoon, and realize how messages about drugs are communicated, overtly and hidden, in songs and music videos. Double-sided poster for teens and young adults: One side in English, one side in Spanish. Emphasizes three essential messages about smoking marijuana: It is addictive, it can lead to school failure, and it impairs driving. 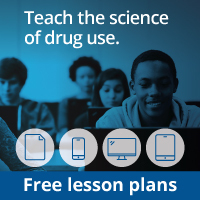 Helps students understand the serious short- and long-term effects of drug, tobacco, and alcohol use, as well as the importance of informed decision making. Describes how to recognize a situation that involves bullying and how to take action to stand up against bullying. Q&A brochure provides facts about marijuana for parents and offers tips for talking with their children about the drug and its potential harmful effects. Test your knowledge by taking the interactive National Drug & Alcohol IQ Challenge quiz! There are 11 questions and 2 Brainiac questions. Quiz will take approximately 10 minutes. Ponga a prueba sus conocimientos. ¡Tome el reto nacional del coeficiente intelectual (CI) sobre las drogas y el alcohol! Hay 11 preguntas y 2 preguntas adicionales para los Brainiacs. Le tomara aproximadamente 10 minutos. The best way to get people to come to your event is to talk about it with your friends and community members. Hand out our brochure along with a flyer advertising your event to get people excited. Make sure you put all the important details on your flyer—who, what, where, when, and why is a good place to start.